Improve your quality of life by training 1:1 with Darryl Rose. Working with a Certified Personal Trainer has been shown to increase your results 3 times faster than on your own. It will also help you discover newfound confidence, a sense of accomplishment and an increased knowledge of health and fitness. Workout programs are individualized and tailored towards your needs and fitness goals. Through regular assessments, tracking of progress, goal setting, a little hard work and your commitment, Darryl Rose will motivate and help you will become stronger, healthier and better than you’ve ever been. By becoming a premium client of Darryl Rose you will have access to many other services such as Precision Nutrition coaching, Bio-signature Modulation and Fascial Stretch Therapy. 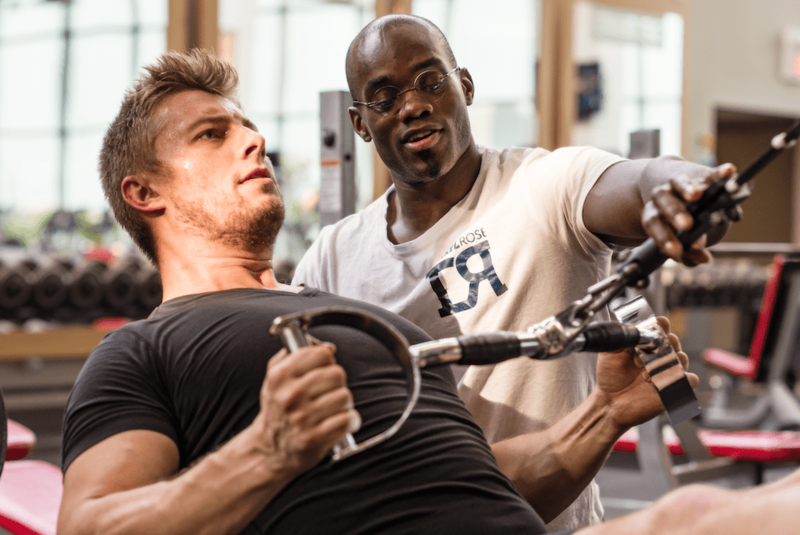 Each personal training session with Darryl Rose takes place at Pure Fitness located in the Leaside area. If you’re committed and interested in personal training, book your free consultation today.